Fantasy Football! Everybody loves Fantasy Football! 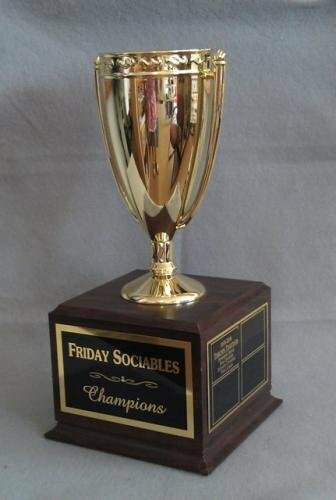 Have fun with it - and brag with a perpetual trophy or individual trophy for the winner! Our Exclusive Deluxe Fantasy Football will allow the Champ to brag. 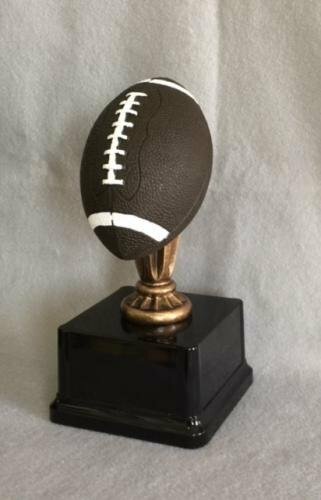 The traveling trophy features a large football and room for up to 12 individual plates. 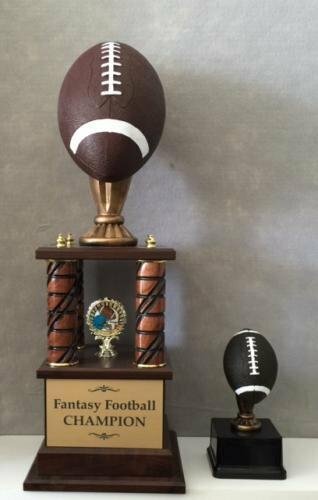 Our custom Fantasy Football trophy is perfect for the winner of your Fantasy Football league! This can also be used as a traveling trophy - let the winner keep it until next Football Season. A smaller trophy to go along with the Champion trophy. 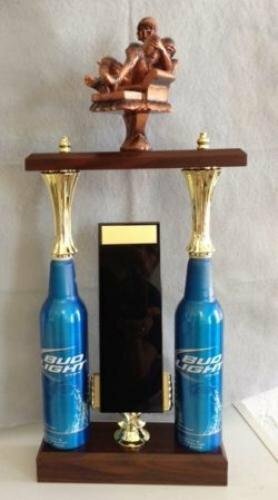 The winner can keep this trophy with them all year. 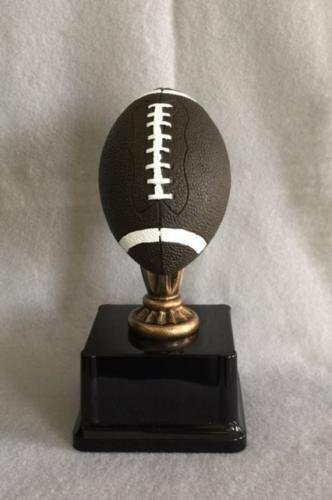 A great alternative to a plaque, this perpetual trophy works great for a traveling trophy such as fantasy football or a golf league. Come with 12 plates and your choice of figure on top. 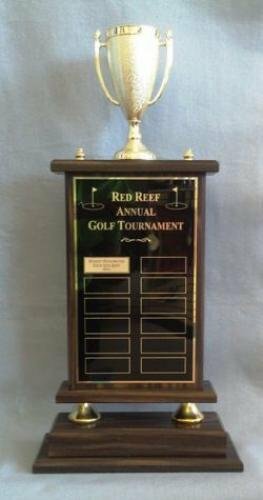 This general use perpetual trophy can be used for any traveling trophy including golf and fantasy football. Price includes engraving the header plate and room for 12 individual plates. Individual plates are $10 each to engrave.